The Sibratec supports R&D activities focused on innovation in products and processes in line with the priorities of industrial, technological and foreign trade policies. 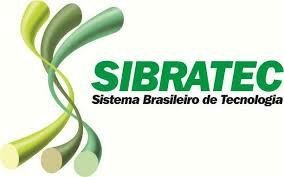 It aims to increase the competitiveness of Brazilian companies. More information. The objective of the Innovation Centers Networks is to generate and transform scientific and technological knowledge in innovations in products and processes. The Innovation Centers are entities or development groups that belong to technological research institutes or universities, with experience in developing products and processes in partnership with companies. The goal of the Technological Services Networks is to support companies, providing services of metrology, standardization and conformity assessment in order to overcome technical requirements for market access. The support for Technological Services Networks enables the adaptation and modernization of infrastructure of service providers laboratories that participate in Brazilian networks for calibration, testing and analysis. The purpose of the Technological Extension Networks is to promote specialized technical assistance to the innovation process, in all its aspects, through arrangements of specialized institutions. They are formed at the state level and have as a priority the assistance to productive sectors. The scope of support provided by the Technological Extension Networks includes, among others, the improvement activities of products and production processes, reduction of operating costs, training associated to technological consulting, new product design and implementation of system cost.